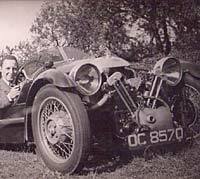 A JAP-engined Morgan 3 wheeler circa 1930, and a Matchless Morgan. Homepage. 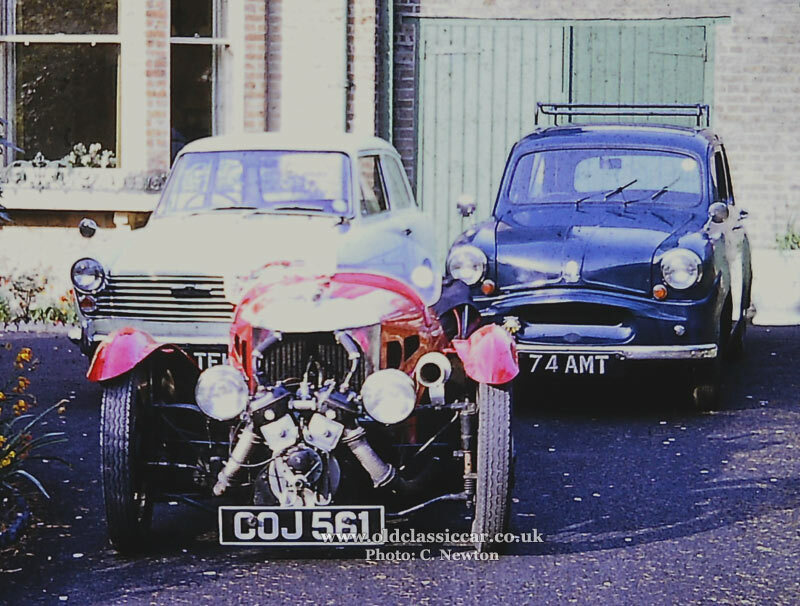 This page: A smart Morgan JAP photographed in the 1960s, and another Morgan purchased in 1959. Happily a quick look online at the DVLA site shows that this car, actually registered as a 1931 example, is still on the road, and still sporting this distinctive number plate (is it me or do re-issued numbers on old cars look terrible? better than a Q plate obviously, but...). 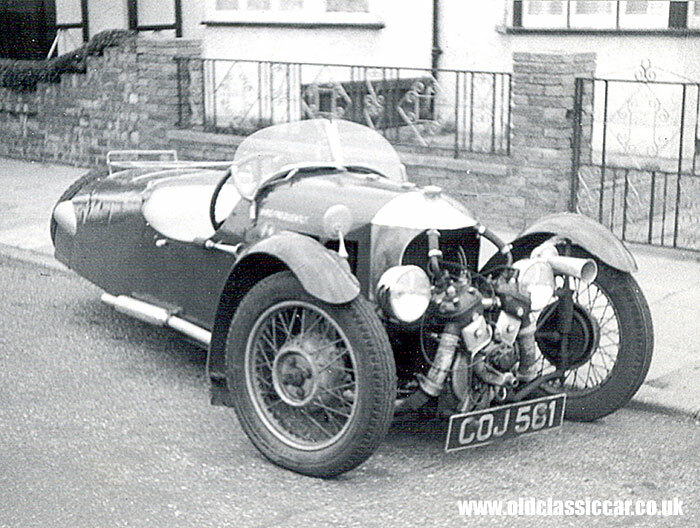 The 3 wheel Morgans were designed and built to mainly appeal to motorcyclists who were looking for an affordable alternative to their motorcycle. 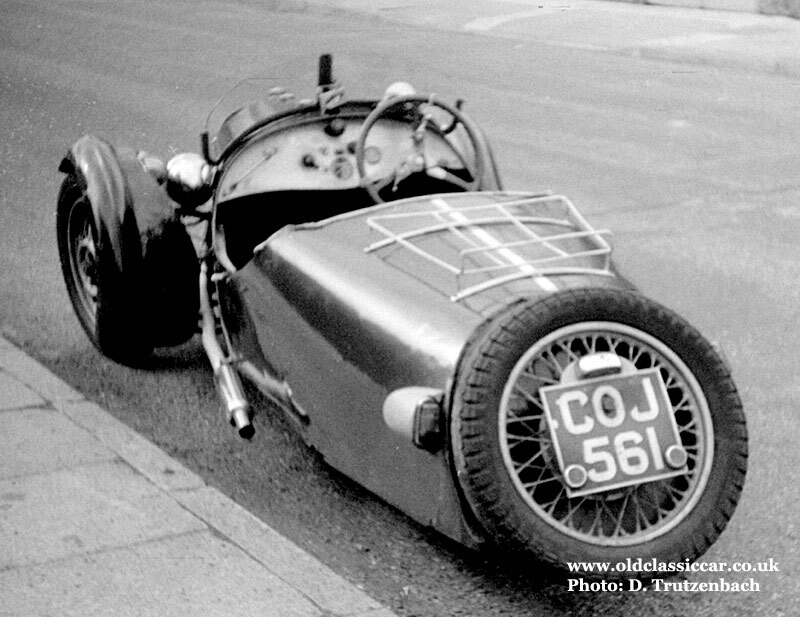 Being a trike had its advantages, notably that they fell into the same tax bracket as a motorcyclist, so offered some of the comforts of a 'normal' car (albeit little in the way of weatherproofing!) but at a reduced rate. Their lively performance meant that the motorcyclist needn't lose all of the excitement of the open road, something that switching to an Austin 7 might have imposed upon them, at least in standard fettle. 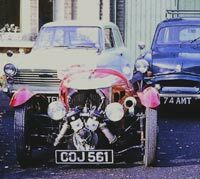 A former owner of just such a car sent over his recollections, and they now feature on this page of the Motoring Memories section. 2. 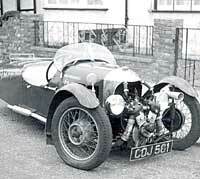 Three owners recall 1936 Morgan reg. COJ 561, 1959-onwards. 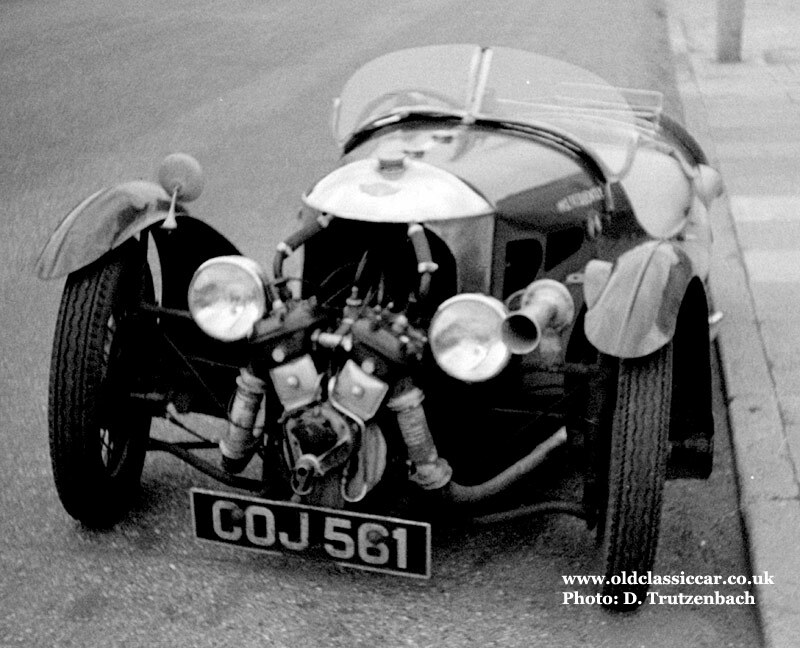 Dave Trutzenbach dropped me a line with the following two photos, although not a JAP-engined Morgan like the example above, this page seemed like a suitable place to add his photos on to. 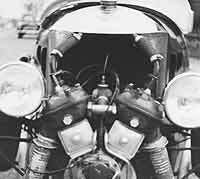 They were taken circa 1959, Dave says it had the Matchless V twin engine, and was built in 1936. It is seen here outside his parents' house, in Welling, Kent. It was registered COJ 561, a Birmingham series first used in September 1936. Thanks for allowing me to show them on the site. Three more photos of the same Morgan. A short while after tipping Dave off about the two colour photos of his old car, shown further down, he sent over the following three images. They were taken on the same day as the first pair he sent over, circa 1959. The first is a side-on view of the venerable Morgan. 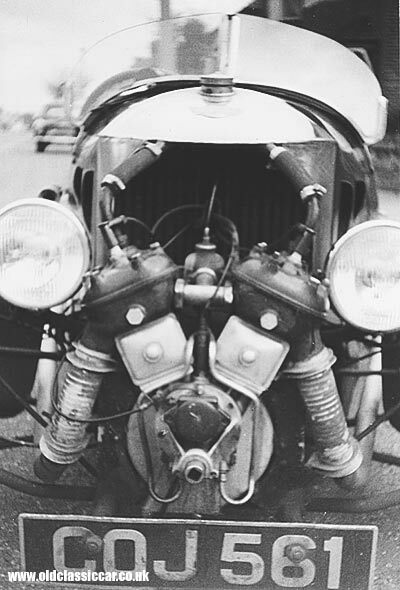 As in the first of his photos, the dual horn arrangements of his car can clearly be seen. 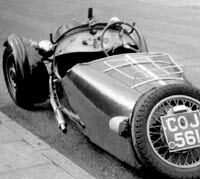 This rear three-quarter view illustrates the tapering body of the Morgan well. Driver and passenger alike had to mind the hot exhausts, while entering and exiting the machine. Last, but not least, a head-on view of the pre-war Morgan. Thanks for digging these out and sending them over Dave. 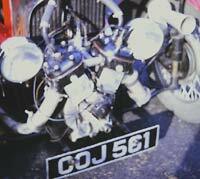 Further photos of COJ 561, c1962. "I bought it off Dave Trutzenbach in 1962 for 85 GBP. It was in a pretty sorry state and was emblazoned with the name 'Mrs Frequently'. My father and I completely rebuilt all the body woodwork using ash and oak, fixed up the steel body and painted it a wonderful red. We re-furbed the engine, and the car looked an absolute picture! 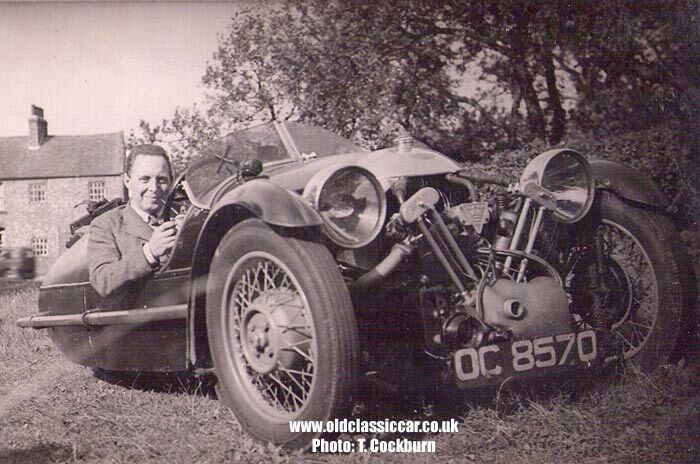 I was a member of the Morgan Drivers' club and frequently went to meets at the Ace Cafe on the North Circular road. I kept the car for two years and then sold it for the princely sum of 120 GBP. 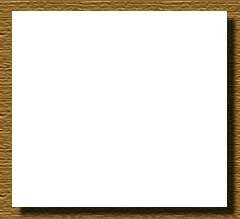 I have attached the only two pictures I have (not very good quality, but better than none at all)." Thanks so much for sending them over, I've forwarded the photos to Dave in case he's not seen them before. I wonder what became of this car? 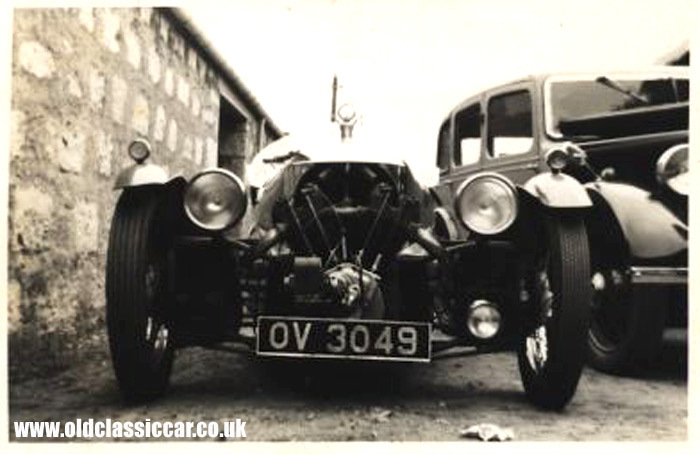 Accompanying the Morgan in the first photo are examples of Austin A40 Mk2, and Standard 8 saloon. 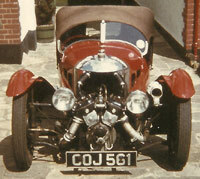 "It was great to see the pictures of COJ561 on your web site - it takes me back 50 years! It must have been me that bought the car from Chris Newton all those years ago as I certainly acquired her in 1964 - please see attachment. I kept her for a year or so until one winter I left her outside without antifreeze (she had a water-cooled Matchless engine) and the rest, as they say, is history. 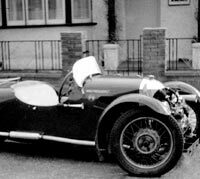 Not having the wherewithal to do the repairs, I put her in for part-exchange with a garage in Wembley against an old Morgan 4/4 - because of the damaged engine I think I only got about 40 pounds for her! I hope she's now someone else's pride and joy as she was mine, half a century ago." 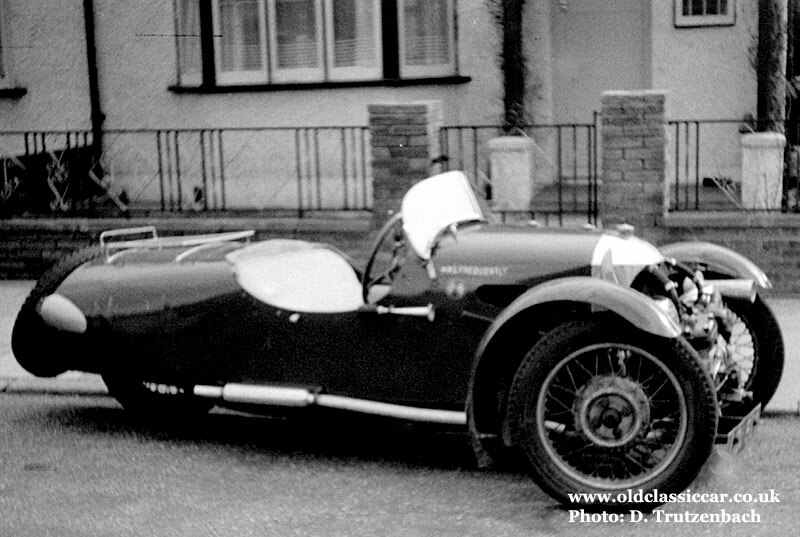 It's great to hear from you Alistair, and update the page with your memories of this car. I'll let Dave and Chris know of this update, I'm sure that they'll be interested to read more about the car they both once owned. The question is - what happened to COJ after Alistair part-ex'd it against the Morgan 4/4? 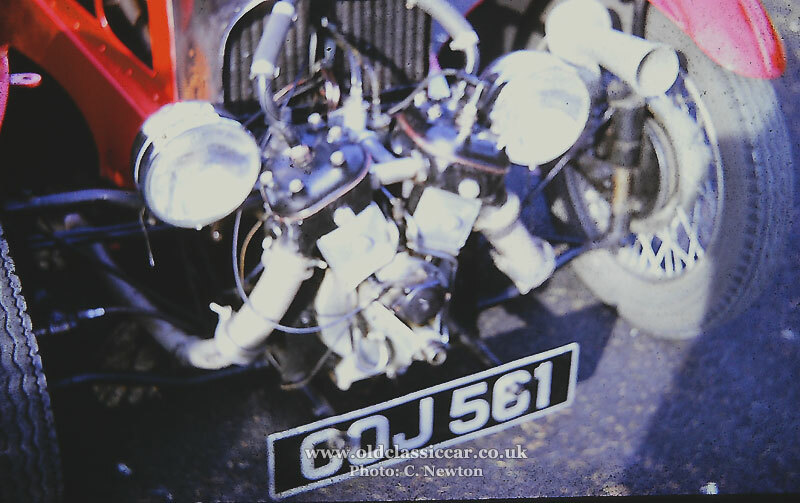 Tom kindly emailed over this next image of a JAP-powered Morgan, One of several photographs given to him 35+ years ago, by the Morgan's owner, it shows the racey three-wheeler with its owner, parked in the corner of a quiet field. 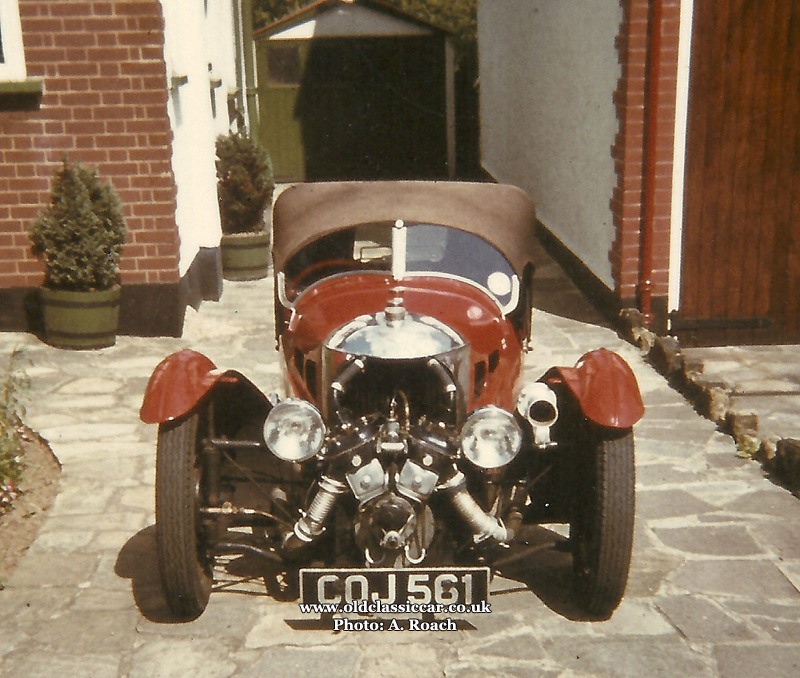 The Morgan's registration was OC 8570, a Birmingham series that ran from May 1933 to March 1934 only, suggesting that this car dates to the beginning of 1934. The registration no longer shows up on a search of the DVLA database, so sadly it has probably been scrapped or broken up for parts. 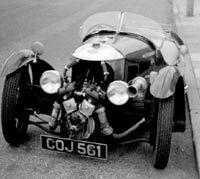 An earlier Morgan, possibly a Grand Prix model dating to the mid 1920s, is also featured in the vintage photograph section of the site.